Choosing a design for your site is essential. It defines your brand, your layout, and your visitors’ reading experience. Jetpack hides all the complexity away and makes this previously difficult process a breeze. 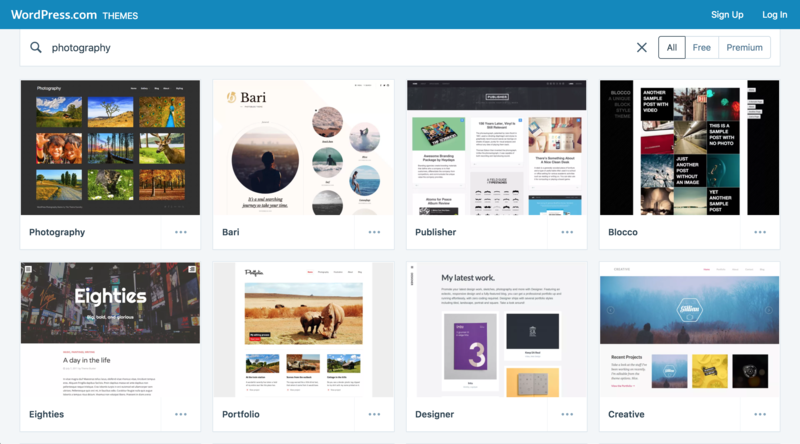 Browse hundreds of themes in our showcase and search by theme, name, style, colour, or type. Preview, install, and activate with one-click and then use our suite of design tools to make it look just as you need it to. Fully optimized from the ground up for WordPress and mobile. Professionally designed themes for a range of website styles. Browse and search from our theme showcase. Use the same tools to upload and manage your own themes. Fully compatible with all Jetpack features! Part of Jetpack’s suite of design tools for WordPress sites including themes, content delivery, image tools, sidebar customization, and more. If you don’t currently have Jetpack, install it now so you can begin taking advantage of our features. Installation is easy and free — you don’t need a paid subscription.